Yeezy has a lot going on at the moment. On Wednesday morning, there were rumors that his laptop was stolen (BUMMER!). Shortly thereafter, the Kanye West song "Awesome," an unreleased track that is allegedly about Kim Kardashian, was leaked. People assumed this was the work of the individual who had the laptop in their possession, but then his record label said that Kanye's laptop was fine. But as it turns out, a snippet of this song was featured on Keeping Up With the Kardashians months ago. I'm so confused. Is this song new or is it not?!?! What can we tell for sure about this whirling dervish of a scandal? 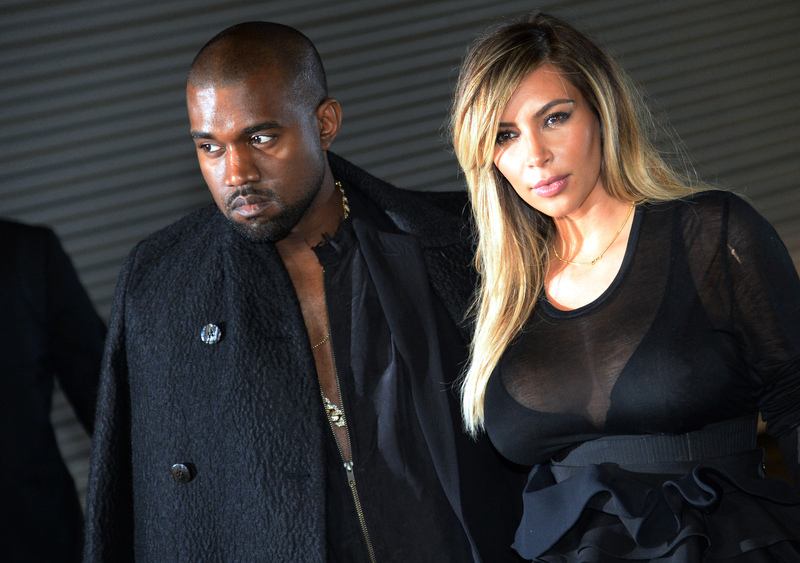 Well, Kanye wrote a song that's probably about Kim Kardashian called "Awesome." In the past, it has been teased in clip form, but it wasn't until Wednesday that full track became available. Listening to it in its entirety, we can infer a few things. First of all, Kanye West loves the way his life looks ("You look too good to go to work"). Also, he wants to hang out with her all the time ("I'd rather do nothing with you than something with somebody"). Furthermore, he wants to cook her dessert, considering that there is a line in there about cooking dessert. I'm not joking. In this writer's humble opinion, the song sounds sort of like a rap a teenager would write for his girlfriend to get her to go all the way with him for the first time. On the other hand, it's kind of sweet and it makes me believe in the staying power of the Kimye bond. Their love is real, you guys. Click here to listen. GAW! "You don't have to listen to your manager" are the eight most romantic words strung together that a girl can hear. Switching gears a bit, the history of this song extends all the way back to 2013. In order to make things a bit easier to digest, let's break down what happened leading up to the release of this modern ballad into timeline form. May 2013: Kanye performs at the 2013 Met Ball. In addition to singing "I Am A God," he allegedly serenades Kardashian with a song written for her. As Hollywood Life reports, the lyrics to West's song include "Let nobody bring you down, you’re so awesome." Later on in the day, Kim posted a photo of Kanye on stage with the caption: "Baby you’re AWESOME." September 2014: The special episode of Keeping Up With the Kardashians about the Kimye wedding airs. A clip of a song about Kim called "Awesome" accompanies the festivities. World confirms that Kanye West thinks Kim Kardashian is awesome. March 11, 2015, Around 3 a.m.: On Wednesday morning, Kanye's fellow Def Jam musician Malik Yusef tweeted a message that heavily suggested that Kanye's laptop has gone rogue. "We have the PRIVATE INVESTIGATION FIRMS ON TOP OF @kanyewest STOLEN LAPTOP!!!!!" said Yusef. Shockwaves reverberate throughout the Earth with the news that Yeezy's computer may have been taken. March 11, 2015, Early Morning: "Awesome," aka the Kim Kardashian serenade song, is released in full. It is believed that the potential thief of the laptop has leaked the track. That jokester! March 11, 2015, Early Morning... Again: A person who claims to have the 'Ye-top opens a Twitter account under the handle @kanyelaptop. The person says that they will leak a song called "Yz 2.0" once they reach 100k followers. They also made this image. March 11, 2015, Later On: Spin speaks to a representative from Kanye's record label Def Jam to try to find out whether Yeezy's computer had actually gone rogue. The person says that there was "No truth to this rumor." Welp, that was anticlimactic.